I did a fair number of interviews while I was at Zendcon in Las Vegas. The entertainment capital of the world is located in the desert. So it seemed fun to do this interview in the desert. This week’s episode features Frédéric Dewinne and Oswald De Riemaecker from ContinuousPHP. We talk about how they met and how they almost instantly founded the company. 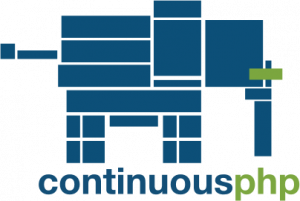 ContinuousPHP is a Platform As A Service that focuses on continuous delivery and continuous deployment in the PHP space. Their startup is based in Luxembourg and the location plays an important role in their story: the Luxembourg government is investing a lot of money in IT and a lot of startups get help from the government. Because of the startup culture that is growing out there, there’s also a growing community. I’m pretty sure the Luxembourg PHP community will grow as well and both Frédéric and Oswald will make sure this happens. We also talk about the quality of life out there. And finally we chat about their plans to expand in the US. Hope you enjoy the video, hope you will enjoy the setting. I uploaded it to Youtube as usual. Are you in the car? Or on a train? Do you prefer listing to the audio while working or while working out? I uploaded the audio to SoundCloud. Last week I also connect my SoundCloud RSS stream to iTunes. Now you can subscribe to my podcast through iTunes. My apologies for the background noise. Recording outdoors is challenging and I wasn’t able to make my main microphone windproof. You’ll also hear some planes flying over. Hope you don’t mind, hope you’ll still enjoy the conversation I had with the founders of ContinuousPHP.